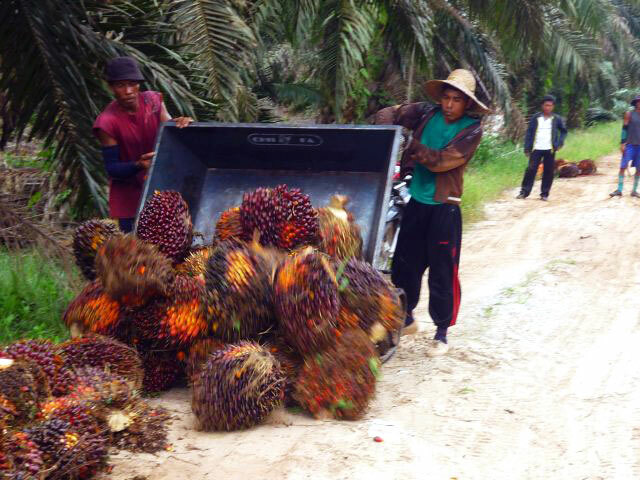 The PMCF-1000 is designed specifically for use in palm oil plantations. 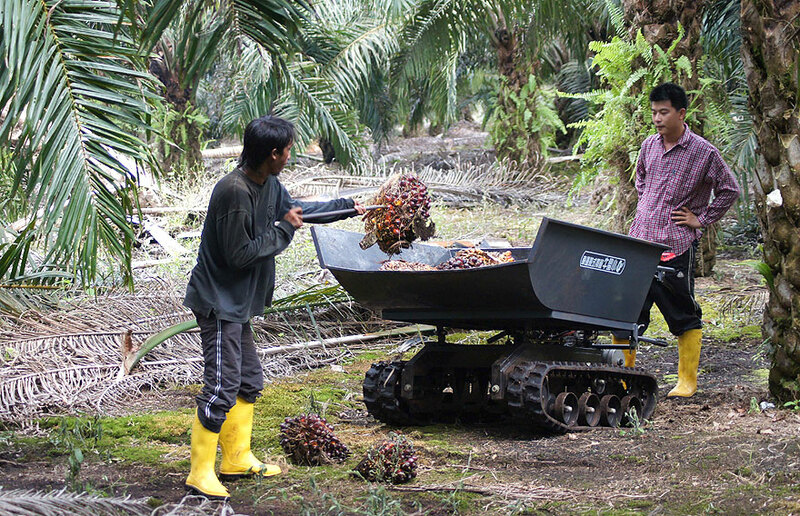 It replaces the traditional methods of using wheelbarrows and live animals for fresh fruit bunch evacuation. 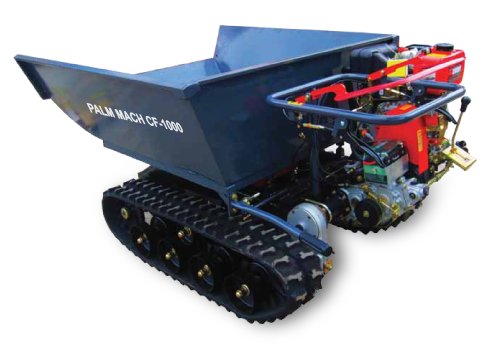 Fitted with rubber tracks, the PMCF-1000 is designed to negotiate soft ground and peat conditions. 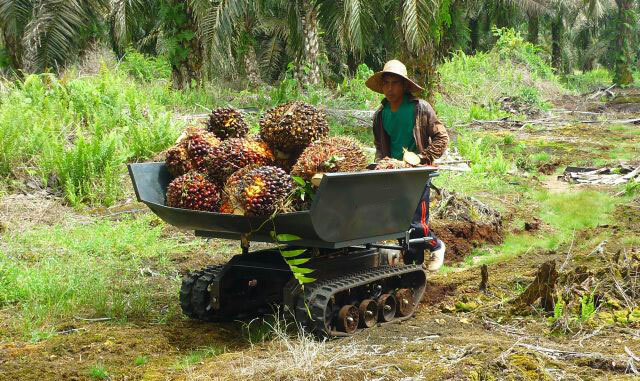 The heavy duty rubber track greatly reduces soil compaction, minimises path damage and is not bogged down easily due to its low ground pressure footprint. 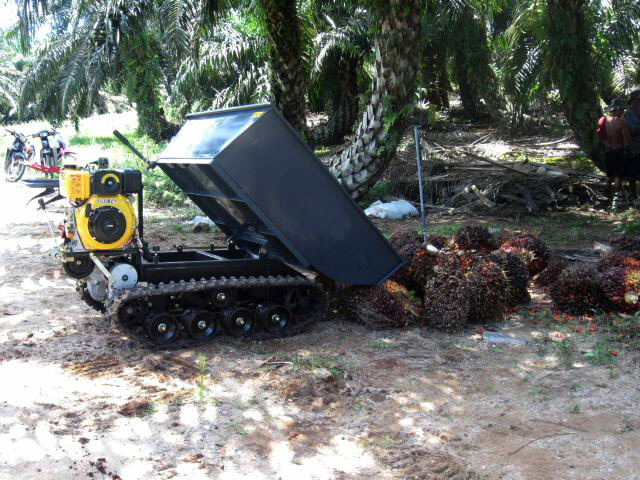 Fabricated from strong light-weight material with high ground clearance, the PMCF-1000 is able to access in-field terrain in palm oil plantations with ease. Simple to operate and low maintenance. Improves productivity by increasing FFB evaluation from the in-field. 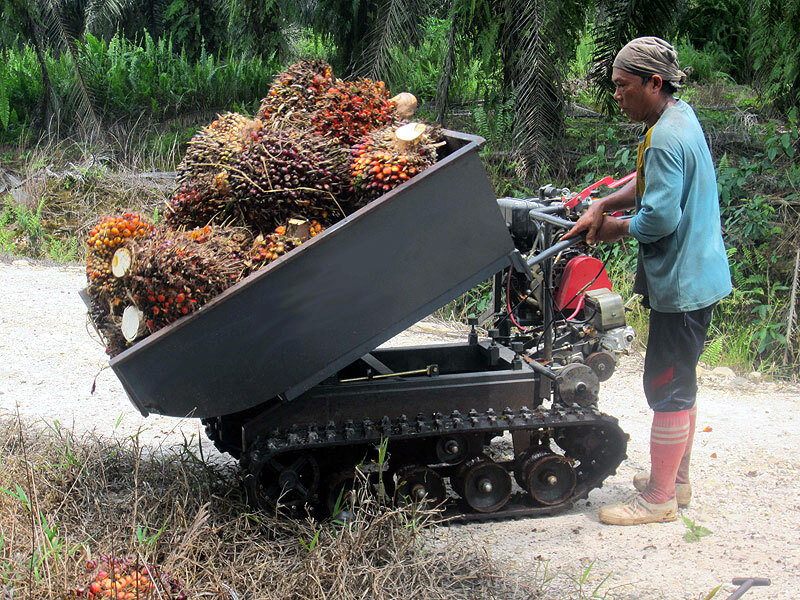 Able to access difficult in-field terrain for FFB evacuation thus improves productivity. [eg: peat soil, soft ground, narrow terraces and areas with high rainfall]. To replace labour intensive methods for example using wheelbarrows, knapsacks or live animals. 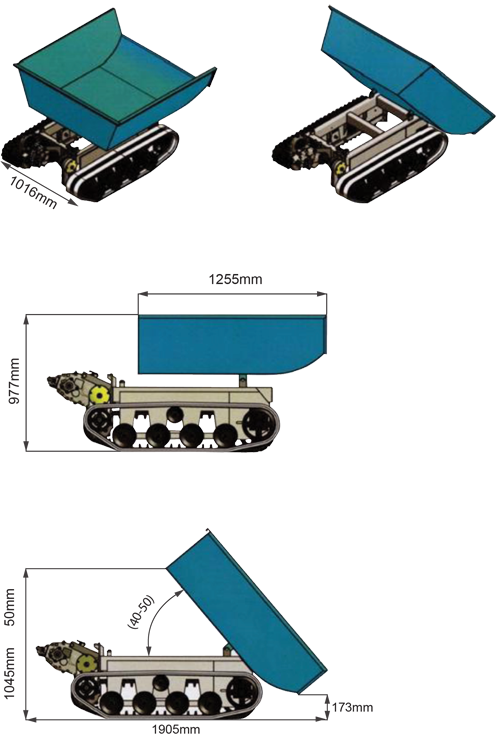 Rubber track reduces soil compaction and minimises path damage due to low ground pressure. Also reduces chance of PMCF-1000 to be bogged down.